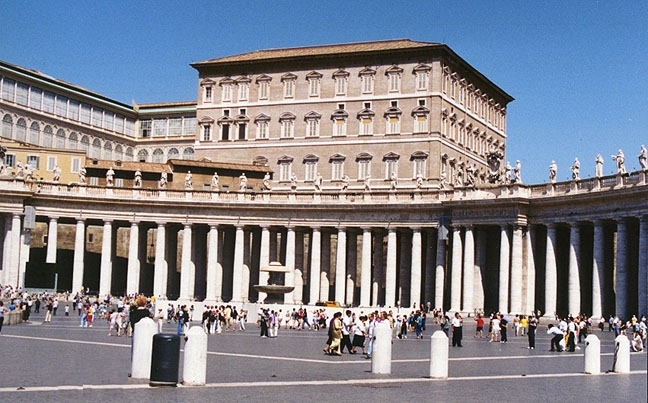 The Apostolic Palace (Vatican Palace or Papal Palace) is situated on the eastern sections of the Vatican Hill. The Palace began to be built in the 14th century. The first pope to take up permanent abode in the Vatican was Gregory XI and his successors later enlarged and beautified the complex. The palace is approached by the road leading around St. Peter's and by the Scala Pia, which extends from the Portone di Bronzo to the Court of St. Damasus.